Today, in spite of the significance and potential long-term value of the job they do every day, teachers (especially in K-12 and public education) tend to be underpaid. In May, we wrote about a few platforms that are looking to change that — to empower the world’s under-salaried educators. TeachersPayTeachers, a platform that enables teachers to buy, sell, and share their original content and lesson plans, hit a big milestone this week which is sure to catch the attention of educators around the country: It minted its first millionaire. 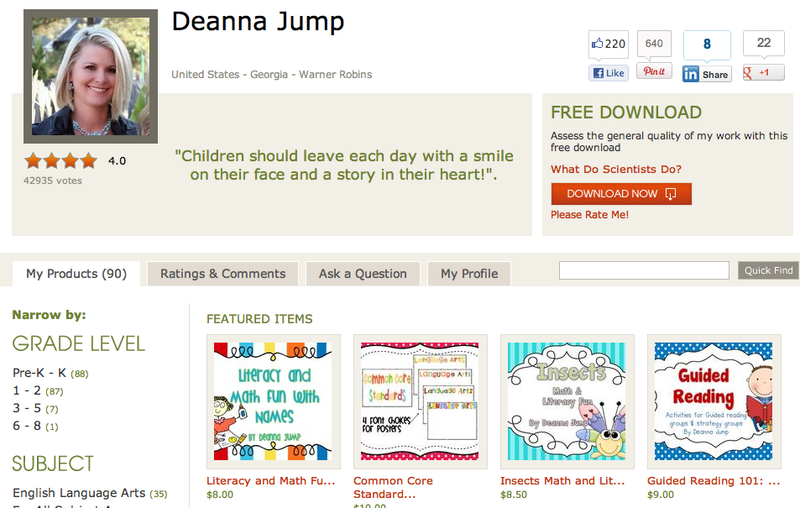 Deanna Jump, a 43-year-old kindergarten and first grade teacher at Quail Run Elementary in Warner Robins, Georgia, is the first on the platform to pass $1 million in sales, having amassed 17,000 followers and sold 160,000 items since joining the platform three years ago. And according to TeachersPayTeachers founder Paul Edelman, there are more teacher-millionaires on the way, with two other teachers having reached $300,000 and 23 at $100,000 in sales. Deanna’s milestone is especially significant when given the proper context and has big implications for teachers. For the educational system, these are the best of times and the most uncertain of times. As the landscape evolves, new digital platforms are showing their potential to make learning more engaging and personalized and to improve assessment and collaboration. On the flip side, the cost of a college diploma continues to rise thanks to absurd tuition inflation that is leading to record highs in student debt. Graduation rates are slipping and those who do graduate often find themselves underemployed — if not unemployed. Not to mention the STEM education gap. Legacy costs, ideas and infrastructure have set the table for creative disruption, with technology now offering alternative ways to acquire skills, knowledge, and accolades. As new learning methods improve in efficacy, it raises important questions: Will higher ed’s diplomas and traditional classroom education be devalued? And what role will teachers play? Will technology make them obsolete? Probably not, but the role of teachers is changing, there’s no doubt about that. Not to mention the fact that it can be a crappy job with low pay. That’s why sites like TeachersPayTeachers are trying to help teachers find an alternative way to get paid for the work they’re already doing (creating lesson plans) and improve instruction by allowing them to buy stellar content from their colleagues. It also makes their lives easier, because they don’t have to reinvent the wheel night after night. Given how in these blubble times it can seem like every other month-old startup has raised $1 million, Deanna’s $1 million milestone may just seem like another metric or vanity stat. But it isn’t. The mother of three (and grandmother of two) has been teaching for 17 years, and decided to join TeachersPayTeachers in 2009 at the suggestion of a colleague. Seeing that kindergarten and lower school teachers don’t have the same common core textbooks and materials as those in middle school and above, she told Betsy Corcoran last year, Deanna decided to create her own. Generally speaking, it can be tough for teachers to find ideas or activities to help them teach particular concepts without spending hours scouring the web for ideas or having to drive to a local teacher’s store in hopes of finding inspiration, Jump tells TechCrunch. But as sites like TeachersPayTeachers and BetterLesson grow and mature, teachers can share their ideas on a larger scale. Those who have expertise in a particular area can share great materials, and those who don’t can consume. Tracee Orman, who has been a high school teacher in Erie, Illinois, for 11 years and has seen $250K in sales since joining TpT in 2009, offers a great example of how technology is changing life for teachers — beyond simply producing existential (and professional) uncertainty over whether it will one day replace them. Typically, she says, educators have had a tendency to approach teaching (and being a teacher) as individuals. In Tracee’s case, which is far from being uncommon, she’s the only one in her school district that teaches sophomore English, so she doesn’t have anyone she can easily collaborate with or use as a sounding board for subject-specific questions or problems. Plus, teachers are naturally curious about what others are doing in their classrooms, and, to educators, it feels like the options are limited. This is the same conclusion that led Eric Simons to create the recently launched teacher collaboration platform, Claco. Today, Tracee posts a question in a forum on TpT and multiple teachers from across the country respond with answers — an experience Answer Underground (a la Quora) is trying to replicate for mobile in higher ed — which has in turn led to teachers connecting with each other and collaborating elsewhere on the Web, like Blogger, Pinterest and Facebook, she says. 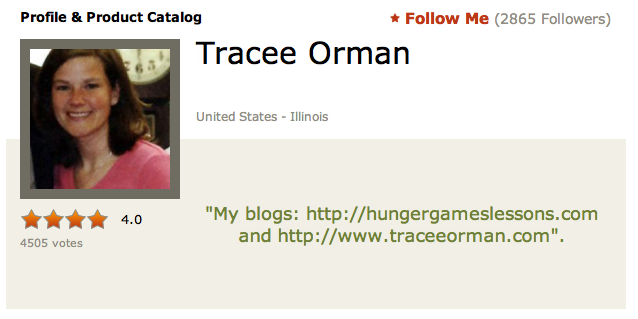 Now she contributes to two different group blogs for teachers and multiple pinboards, something that might not have happened otherwise. Writ large, these edtech platforms are giving teachers a community to collaborate and, as a result of being able to post activities, questions and trade lessons publicly (at scale), Orman says that she, for one, has become a better teacher. For TeachersPayTeachers, facilitating this collaboration and knowledge sharing has been a boon. When we mentioned it back in May, the business had already become profitable, thanks to a pricing model in which TpT takes 40 percent commission on sales from those who use it for free and 15 percent from those who pay $60/year for a premium membership. But recently, it’s really started to take off. 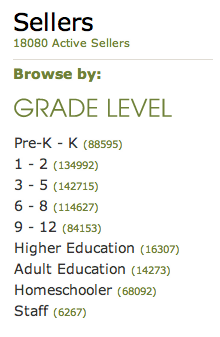 Over the last month, TeachersPayTeachers.com has seen more than 50 million page views. Furthermore, in May, teachers had collectively sold $7 million worth of their materials on TpT. Since then, sales have doubled to more than $14 million, with teachers generating $2.4 million in August alone. For context, in August 2011, sales were $350K. Edelman said that, by the end of the third quarter (July through September), he expects to pay out more than $5 million to 10,000+ teachers. When we asked the founder what had led to the recent hockey-stick growth, he had a couple of really interesting conclusions. Word of mouth, both traditional and digital, has benefited both the supply and demand (of teachers and content), but online, he said that Pinterest has been driving more traffic than Google, Yahoo, Bing and Facebook combined. Wow. 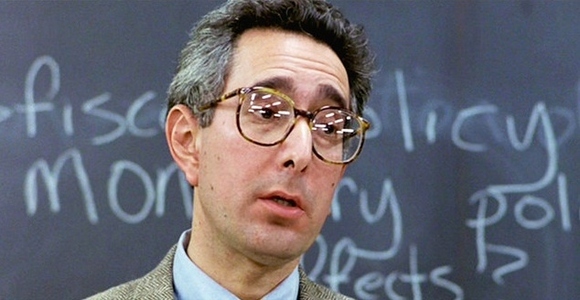 So, startups, if teachers are your customers in any capacity, start paying attention to Pinterest. The other dirty little secret, the founder says, is that the materials and content teachers are creating themselves is “just superior” to what the majority of educational publishers produce. Publishers might argue otherwise, but it’s not surprising why teachers would find more value in materials contributed by their colleagues during the school year in a classroom context. Edelman, a former public school teacher himself, agrees. When we asked Deanna how the million-dollar-milestone had changed her life, she said, “the money has been a blessing for my family, and I’m trying to use it to help others as well, but my lifestyle hasn’t changed much, other than the fact that I don’t have to worry over finances as much. But I still wake up too early every morning and head off to teach little ones. That’s where my passion is and I can’t imagine doing anything else.” Tracee Orman, on the other hand, says that she and her family have used the funds to pay off her student debt, with the remainder going to her son’s college fund. That, in short, is why the future of education is exciting, even if uncertain. For teachers, the purpose of technology isn’t about making money (although that’s nice). It’s about helping them have a real impact on students’ educational outcomes. An assistant rather than a replacement. The educational system has come to rely on tests as its main method for assessing progress and learning, which restricts teachers to having to teach to the test. This, along with budget cuts, and diminishing facilities and resources, makes it pretty tough for teachers to keep students engaged. And their impact suffers. But as online communication platforms, web and mobile games, simulations, models, digital textbooks, multimedia and analytics become accessible in classrooms, teachers have more data to assess student progress and understanding of the material. They don’t have to rely on tests as much. With more information on each student, they are freer to focus on the most effective ways to communicate knowledge to each student. And THAT is how teachers want to be paid. Also, check out Fund For Teachers, a non-profit grant program that allows teachers to design and purse their ideal learning experience during the summer and has doled out $18 million to 5,000 teachers thus dar. It just opened up applications online for its 2013 grants.